On 28 February 2019, we’re closing our range of Scottish Equitable Allium DRP funds. 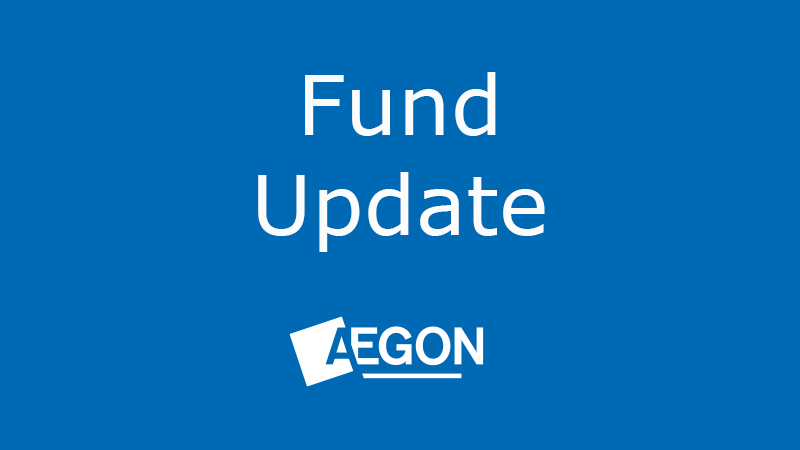 We’ll be writing to all those affected by these changes in advance to let them know about the closure, which applies across our pension and Aegon Retirement Choices (ARC) fund ranges. We wrote to investors in January 2019 to inform them that we’d suspended trading in the Scottish Equitable Allium Multi-Asset DRP funds across our pension and ARC ranges, with the intention to close. Although the underlying funds closed on 31 January 2019, the Scottish Equitable versions remained suspended while we managed the return of assets due from the fund manager, Valu-Trac Investment Management. We’ve now received all of the assets due, allowing us to fully close the funds. On 28 February 2019, we’ll fully close the Scottish Equitable Allium DRP III-VIII fund range and switch existing investments, and all future contributions, into the alternative funds listed in the table below, free of any switch charge. Please note, from 31 January 2019, as we’ve received the assets from the fund manager, we’ve invested in line with the alternative funds. We’ll be writing to all investors in the funds in the next few days to confirm the full closure of the Scottish Equitable Allium DRP III-VIII funds and the alternative funds we’ve chosen to replace these closed funds. Investors were automatically switched, free of any switch charges, into ARC versions of the alternative funds listed in the table below. What investors need to do? If investors are happy to be invested in the alternative funds listed above, then they don’t need to do anything. However, if they feel these funds aren’t suitable, they can switch their existing investment and redirect any future investment, free of any switch charge, into an alternative fund or funds of their choice. During the period the fund was suspended, between 31 December 2018 and 13 February 2019, any payments made into the fund were instead applied to the Cash fund (pension) or Cash facility (ARC). These holdings will remain there until investors, or their financial adviser, give us a clear and complete instruction to switch their investment into another fund or funds. If you don’t want this investment to remain in the Cash fund/Cash facility you should take action now. Please note, for pension investors, any payments we receive on or after 13 February 2019 will be directed into the existing funds until the closure date. This fund aims to deliver long-term capital growth from a broadly cautious approach to investing, while ensuring that the overall volatility of the portfolio remains within its set volatility band of between 2.6% and 7.8% per annum. Volatility is a standard industry measure of risk. It shows how much a fund's returns over a particular period (usually three years) have deviated from its own average. The expected volatility for this fund is 7.4% per annum, although this may change and isnt guaranteed. It will invest mainly in a single derivative contract. It will therefore receive a return linked to the performance of the basket of assets that underlie the derivative contract, which includes equities, bonds and cash. The fund may also invest in directly held transferable securities, derivatives, cash, deposits, warrants and money market instruments. This portfolio aims to provide long-term capital growth while keeping risk in a target volatility range of 6-8% over a market cycle, which the fund manager defines as being three years or more. We've engaged Morningstar to help us select and manage the blend of funds it contains. The portfolio is built mainly using a collection of low-cost funds that aim to perform in line with their regional benchmarks, by investing in the same companies as them, in the same proportions. The Cautious Core Portfolio invests mainly in less risky assets like cash, government bonds (gilts), corporate bonds and property. It will also invest to a lesser extent (around 30%) in riskier equities (shares in companies). This is the second least risky of the Core Risk Profile Portfolios, so it may not return as much as other funds in the range over the longer term. The fund aims to deliver long-term capital growth from a broadly balanced approach to investing, whilst ensuring that the overall volatility of the portfolio remains within its set volatility band of between 7.8% and 15.6% per annum. Volatility is a standard industry measure of risk. It shows how much a fund’s return over a particular period (usually three years) have deviated from its own average. The expected volatility for this fund is 11.9% per annum, although this may change and isn’t guaranteed. It will invest mainly in a single derivative contract. It will therefore receive a return linked to the performance of the basket of assets that underlie the derivative contract, which includes equities, bonds and cash. The fund may also invest in directly held transferable securities, derivatives, cash, deposits, warrants and money market instruments. This portfolio aims to provide long-term capital growth while keeping risk in a target volatility range of 10-12% over a market cycle, which the fund manager defines as being three years or more. We’ve engaged Morningstar to help us select and manage the blend of funds it contains. The portfolio is built mainly using a collection of low-cost funds that aim to perform in line with their regional benchmarks, by investing in the same companies as them, in the same proportions. The Balanced Plus Core Portfolio invests around 60% in riskier assets such as equities (shares of companies), including some in emerging markets equities, and around 40% in a mix of less risky assets, like cash, bonds and property. This portfolio sits in the middle of our Core Risk Profile Portfolio range in terms of risk and long-term growth potential. This fund aims to deliver long-term capital growth from a broadly motivated approach to investing whilst ensuring that the overall volatility of the portfolio remains within its set volatility band of between 15.6% and 20.8%. Volatility is a standard industry measure of risk. It shows how much a fund’s returns over a particular period (usually three years) have deviated from its own average. The expected volatility for this fund is 17.7% per annum, although it may change. It will invest mainly in a single derivative contract. It will therefore receive a return linked to the performance of the blanket of assets that underlie the derivative contract, which includes equities, bonds and cash. The fund may also invest in directly held transferable securities, derivatives, cash, deposits, warrants and money market instruments. This portfolio aims to provide long-term capital growth while keeping risk in a target volatility range of 12-14% over a market cycle, which the fund manager defines as being three years or more. We’ve engaged Morningstar to help us select and manage the blend of funds it contains. The portfolio is built mainly using a collection of low-cost funds that aim to perform in line with their regional benchmarks, by investing in the same companies as them, in the same proportions. The Growth Core Portfolio invests mainly in a mix of assets, like equities (shares in companies), bonds and property, but with the majority (around 70%) invested in risker assets, such as equities, including emerging markets equities. This means the portfolio sits towards the upper end of the Core Risk Profile Portfolio range in terms of risk and long-term growth potential. This fund aims to deliver long-term capital growth from a broadly adventurous approach to investing whilst ensuring that the overall volatility of the portfolio remains within its set volatility band of between 20.8% and 26.0%. Volatility is a standard industry measure of risk. It shows how much a fund’s returns over a particular period (usually three years) have deviated from its own average. The expected volatility for this fund is 22.9% per annum, although it may change. It will invest mainly in a single derivative contract. It will therefore receive a return linked to the performance of the basket of assets that underlie the derivative contract, which includes equities, bonds and cash. The fund may also invest in directly held transferable securities derivatives, cash, deposits, warrants and money market instruments. This portfolio aims to provide long-term capital growth while keeping risk in a target volatility range of 16-18% over a market cycle, which the fund manager defines as being three years or more. We’ve engaged Morningstar to help us select and manage the blend of funds it contains. The portfolio is built mainly using a collection of low-cost funds that aim to perform in line with their regional benchmarks, by investing in the same companies as them, in the same proportions. The Adventurous Core Portfolio invests almost exclusively in riskier assets, such as equities (shares of companies) and may hold 30% or more in highly volatile emerging markets equities. As such, it’s the highest risk of our Core Risk Profile Portfolios, but also has the potential for higher long term returns. ** We grade each fund in relation to its risk against all other funds in our insured range. The rating is not an industry standard and it has no relevance or relationship to the fund risk ratings of other fund providers. For more information on the alternative funds listed above, you can view the fund factsheets via the ‘fund prices and performance’ page of our website by selecting ‘Other fund ranges’.